My childhood memories often include some kind of collection that I was introduced to. Many of my fondest memories are not of formal collections at all; quite the opposite, but those impromptu collections have made an impact on my collecting style still up to this day. Most of us who collect have had people who influenced our style and tastes in what we like and save. Often it is an older adult from our childhood like our grandparents and for me those are the people who influenced me the most. My grandmothers were very different from each other; night and day. One was from the city had dark hair and such a soft inner beauty that even to this day I know I would never be able to emulate that beautiful spirit. My other grandmother was a farmer’s wife, she was so strong and it seemed that she could create anything she put her mind to. If you want it, can’t afford it, then make it. She had white hair when I knew her, which I thought was very fitting for her name; Lily. She also loved Mourning Doves; there has always been a Mourning Dove in my yard no matter where I live. Both of my grandmothers influenced me in many aspects of my life and I am very grateful to have been blessed with those two amazing women as guides. Traits they did hold in common were pride and they cared deeply for not only their loved ones but about their homes, hobbies, and the items that were placed in their keep. It really didn’t matter if that item was a photo, the good silver or a coffee can. One of my earlier memories strongly influenced how I collect and what I collect today. This memory, as important as it is, was about a coffee can. It begins with a 5 year old me and a trip “up-North” to see my Grandma, Lily. These trips always gave me mixed emotions. On one hand the trip was very exciting, in those days we didn’t travel much and by that time it had been a while since I last saw my grandmother. On the other hand she was a farmer’s wife and had a lot of work to do. This meant I was anticipating much of the visit to be... BOARING!!! We arrived and after I settled for a minute I looked around the old Victorian farm house and realized that I had been right. Grandma was out on the farm and it was BOARING!!! She did come in for a brief break and when I expressed my boredom to her (mind you I had been there for probably only an hour by then) she was less than impressed and told me “why don’t you just go color.” My experience had been while at your grandmother’s house, back-in-the-day, this meant you were going to be coloring in books that say “patent pending.” There was no chance of something different because every pictured had to be colored in them before new ones were bought. Plus, I never could see what was so exciting about a box of crayons. I had a big box at home and much better coloring books; but, never mess with a woman that has to go milk the cows for a living. So I listen to her explain to me where they were kept and didn’t mention my boredom again. She left and I sat at the old Formica table trying to figure out what to do. I used love that table; it had chrome legs and edging that was extremely shiny and in the center of the frame were large rings. It looked like it came from a spaceship or something. However, it was apparently for decoration since the last time I used it as a jungle gym I got stuck and received a long lecture while being extracted from it. Due to my last growth spurt I decided to instead look for the coloring books. I found them easily enough; of course Lassie and the Walton’s, but the crayon box was not there. Instead I discovered an intriguingly designed coffee can heavy and it sounded as if it were full of crayons. The coffee can had a pretty design all over it, no name or logo. The cans that I was used to seeing had big words painted or printed on them to assure the buyer of what brand they were purchasing. I was very curious about the can; it made so much more sense to have a pretty can that you could put things in versus the ones I had seen before. It made me feel a little ripped off, now I get the ugly cans. Never-the-less it started the wheels in my brain to ever so slightly shift gears towards that collector’s mentality. The best was to come; I opened the can and discovered more crayons than I had seen in my life, including preschool. 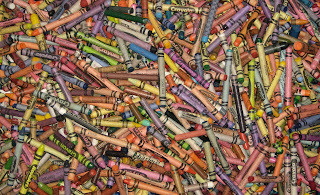 There was several of every color and tons of different size, broken and whole; any crayon that was ever brought into that house was saved. It didn't matter how small of a piece was left it went into the can. I took this treasure and the books to the dining room table sat down. 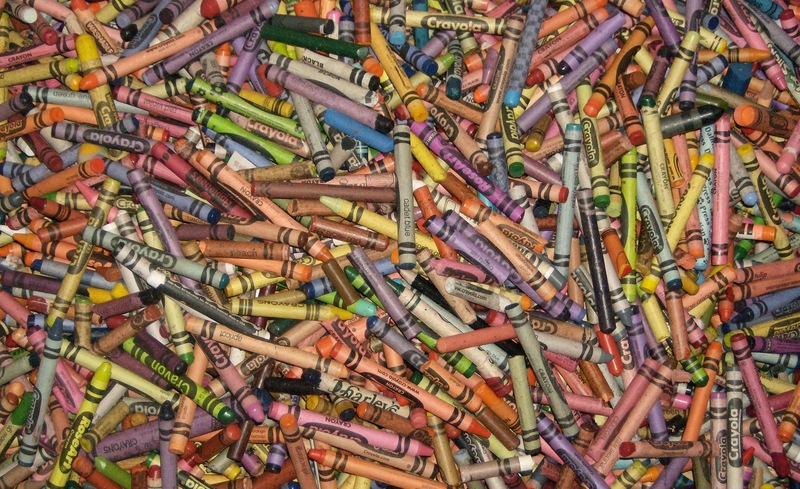 I never had time to complete an entire picture that day because I spent hours sifting through all those crayons. I took each one out looked at how they were different from one another and how they were different from the new box I had at home. I discovered that over time and from the effort of crayon makers to improve their product that the colors all changed subtly, the shapes changed and how they well they worked also varied. Some crayons were like coloring with a candle and some worked great. Some of the pieces were even shaped more like octagons than the traditional round shape. Without my actually realizing it, this was one of my first lessons on respecting small things and appreciating the intricacy of even the most insignificant of items. As cheap as crayons were my grandmother never wasted any resources and in the process built a wonderful and intriguing little collection of vintage crayons. This leads us to one very basic rule about creating a collection, it has been said time and time again; collect what you like and do not just focus on the item’s monetary value. 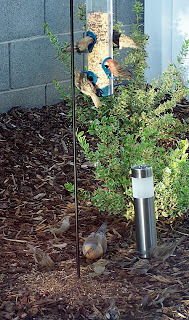 But I would like to add 2 more, collect things that are practical and incorporate re-usable items as often as possible. If you like old tins; then instead of buying a new plastic container to put your rubber bands in, find a nice vintage tin to do the job. It is amazing the detail that was used on vintage items and now the same item is made cheap, plain and becomes landfill once it is empty or used. Most often early manufactures took pride in how they presented their product. The logos, images and even shapes of their containers were carefully thought out. People saved and reused the packaging; if they found the item to be useful even after the product was gone they would buy from them again. Smart marketing concept! Don't forget to visit http://www.etsy.com/shop/ButterflyInTheAttic I would love for you to stop by!